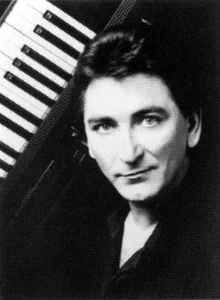 Tommy Eyre (born July 5, 1949, Sheffield, South Yorkshire, UK - died May 23, 2001, Los Angeles, California, USA) was a keyboardist who performed on records by Joe Cocker, John Martyn, Alex Harvey, Greg Lake, Michael Schenker, Gary Moore, B.B. King, John Mayall, Tracy Chapman and Wham. He is perhaps most famous for playing on Joe Cocker's UK chart-topper "With A Little Help From My Friends", on which he arranged the distinctive organ introduction, and Gerry Rafferty's "Baker Street".